Pub Watch - Favourites, Essentials, Condemned, Much Missed, Matchday experiences. Post your Pubs of choice. A few beers go hand in hand with a great Saturday day out. If your a Real Ale man or just like the Pub and you want to reminisce about long lost boozers in Wycombe or anywhere this is the place to come. One of my Favourites when its open. Manchester, Off the beaten Track in Picadilly. 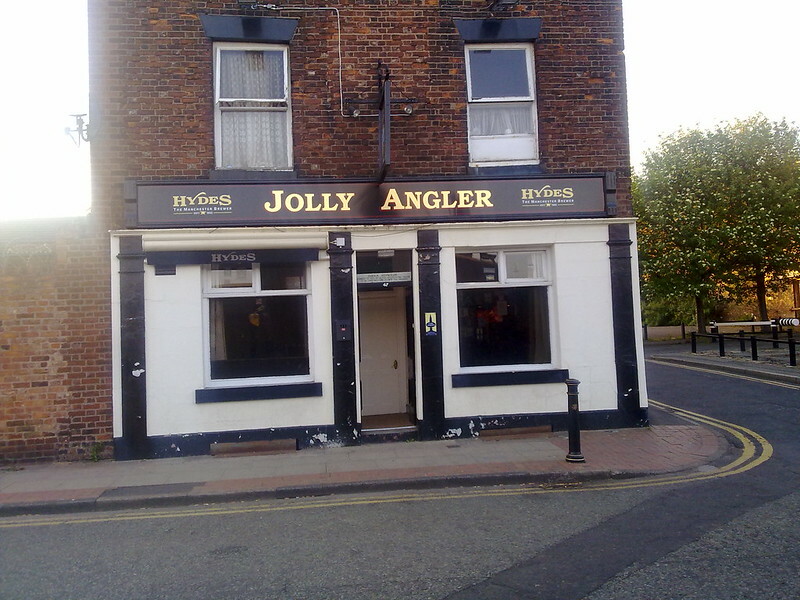 The Jolly Angler a Hydes Pub. Very rustic! These are My pictures. The Bell in Aldworth is a fave in West Berks, a slight detour on the way to Oxford. I say slight meaning around 30 miles. Well worth it. Pubs should be a category really. @drcongo Sure. Do you want to move all of this over into a new category? I just really love pubs. If this thread gets big enough I'll think about creating a pubs category. My match day drinking these days happens at Waterloo station, then what used to be The Flint Cottage. Amazing beer selection in there these days, though sadly they've decorated the soul out of it. York Tap on the station - always a treat. As is the Sheffield one. @M3G waistline busting! I'll take any excuse to visit York. Having one bloke behind the bar on a Saturday lunchtime is starting to grate. Any other recommendations where to drink in HW pre-match? You can go to the Belle View http://www.thebv.co.uk/ just up behind the Station on Gordon road. Always been a favourite. The Rose & Crown on Desborough road is a Wycombe stronghold and has been for many a year. Good solid Local, not many left now so support them. The Half Moon is another frequently visited venue on Dashwood avenue and has several of the board members as visitors on matchdays. Or why not head to AP to enjoy some gut-rot inducing slop badged as micro-brewery fare by the wonderful Greene King brewery? Some of the pubs I miss most in Wycombe. It's a tragedy we have lost so many, but its a national disease pub closures. The White Harte - My first proper local in town when I was 16-17 nothing special but great memories. Cant believe its been shut for 34 years now! The Roundabout - Especially back in the late 70's early 80's when I was growing up. 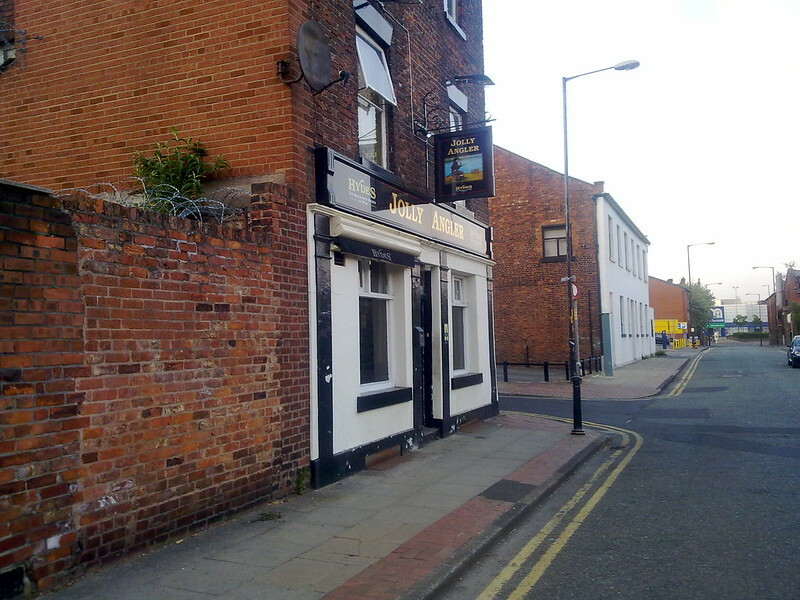 The Bull - Another one of my early haunts. Always full of Wycombe's finest geezers, not the sort of place you mouthed off in! The Red Cross Knight - Ahem! Need I say more. Punks and Rasta's got on like a house on fire in this smoking den! Desborough Arms - My right of Passage, believe it or not I used to drink in here at the age of 14! although nearer 15. I knew Brian Tilman the landlord and he knew how old I was. I was a Suffield road Lad so this was our local. That's four of them. But The Kings head, Ye exchange, The Rose, Coach and Horses, The Gate were all part of my world back in the day. General circuit as a youth was White Lion, Roundabout, Flint, Antelope. Also used to frequent the Queen Vic near Green Street for a refreshing pint or two of Fullers K2 lager before heading back to operate machinery! Greatest regret on leaving for the North is having never been to The Happy Wanderer, which would have been my local as a child - is it still going? Not sure on that. I used to go to the Off Licence there back in the 70' with my nan who lived in Underwood road. Then I went in the late 80's for a bit as for some reason it turned into a Middleborough FC pub. At that time the Bucks Free Press Jobs were advertised in Boro and Redcar and alike, I ended up working with a couple of lads for Teeside. It was surprising the amount that worked and lived in the town at that time. It was also mentioned a few times in the Fly me to the Moon Boro fanzine. The Queen was great wasn't it. Jim had a good crowd, everyone from Basta Roc to the Gasman. My favourite Tipple was London Pride. My grandad was the landlord at the Red Cross Knight during the height of its infamy, and right up until it was closed. I always find it funny to hear the anecdotes people have about the pub, because they just don't match up with the perception I have of my grandad! It wasn't quite like a trip to Amsterdam and to be honest wasn't a particularly decent pub inside, But granted it has gone down in folklore. It was more the crowd that drank there. Always decent reggae booming out the juke box. But I used to go in because the Local Punk Scene with The Xtraverts and Cyclon B using it. Cannabis was not openly smoked in there but that very familiar smell we all have got used to nowadays was always in the air, masked a lot by the old petulia oil, in my innocence as a youngster I thought that was the weed smell!. So the West Indian community and the Punks and Hippies had the Red Cross. The Teds had the Red Cow and the Angel on Bridge street by 1979 had become the Skinhead pub in town. Youth culture was brilliant in my day! Oh and The Mods had the Antelope! Angel on Bridge St ?? Was the Rose not on Denmark St ? Cheers M3G, need to get less lazy and walk down to the Rose & Crown. On this note, is The Anetelope still closed? I remember it was shut last time i was in the Chair Metropolis, but there was talk of it re-opening? Yes it was. Opposite bridge street car park. Sid was the landlord in all the years I went in. Under new management and undergoing a refurb before re-opening. Some of the lost Wycombe pubs from my memory which I have sampled the ale in. The White Blackbird. One in Kingsmead road not of it's name. One at Wycombe Marsh again not sure of the name. The Horse & Jockey. The Ninepins. The Terrier. The Golden Fleeces The Gordon Arms. The Iron Duke. The Coach & Horses I think this was opposite the Rye. Scorpios Bar. The Grapes. The White Harte. The Red Cow. The Red Cross Knight. The Rose. Bell & Mast. The Downley Donkey. The Turnpike & lastly The Gate. Golly I did have misspent youth. Has to be upstairs at The Coach & Horses for late 70's muso fans, so many great punk bands. And early Wanderers connection I believe. The back room at the Coach and Horses was where we changed for football before The Rye had any changing rooms. That was about 1946 There were no showers or baths, nor did we expect them, and the place stank of embrocation. Where was the Morning Star? Was that Micklefield? On the crossroads of Bowerdean Road and Totteridge Road. Home, of course, to the legendary music venue Heroes & Zeroes. Now, it's a block of flats.